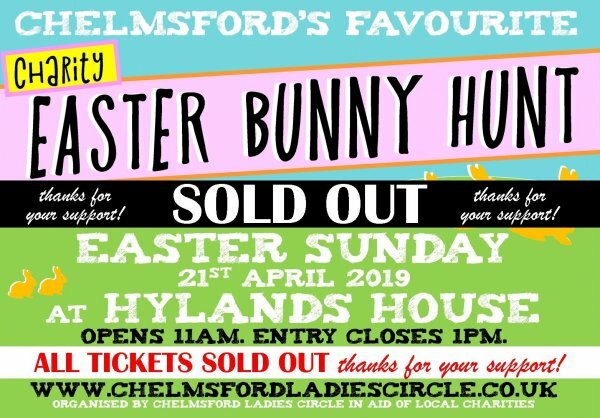 For our 16th year, Chelmsford Ladies Circle annual charity Easter Bunny Hunt, is at Hylands House, Chelmsford. Join us on Easter Sunday 21st April 2019 to hunt for wooden bunnies and win a chocolatey prize. It's a great Easter day out for the family in a lovely venue. If you have already bought a ticket, entry opens at 11am, last entries will be at 1pm and the prize collection closes at 2pm. Priority Entry ticket holders will skip to the front of the queue during their time slot. 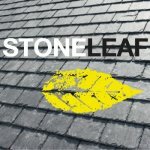 Please scroll down to our FAQs for any further queries. Please use the car park by the adventure play area which can be reached from Greenbury Way (A414 - Writtle bypass). For sat navs please use the postcode CM2 8FS. From this car park you can then walk up the path towards the house and take a left into the pleasure gardens. There will be signposts to guide you. My child has allergies do I need to bring my own prize? We try to cater for all allergies and are happy to accommodate so your child can receive their prize with the rest of the children. Once you have purchased your ticket please email chelmsfordcircle@hotmail.co.uk with "Dietary requirements" in the subject line and we will endeavour to find your child a suitable prize. For the ticket price your child will receive an answer sheet and a chocolatey prize. The bunnies will be hidden around the pleasure gardens for children to find. Once they have found all the bunnies they can collect their prize. There is no cost for accompanying adults. What do I need to do when we arrive? When you arrive at the pleasure gardens please sign in at the desk and they will give you an answer sheet. Then all you need to do is hunt for the bunnies and hand your completed answer sheet in to claim your prize. Will I receive tickets through the post? No, please bring a copy of your PayPal confirmation as proof of purchase. This can either be printed or on your phone. No, accompanying parents/guardians come free to the event with their children's ticket. Yes there are toilets in the courtyard next to the house as well as by Mauro’s cafe near the bottom car park. What does the money from the event go towards? All profits from the event will go to our chairmanship charity of the year Dementia Adventure. No because they have sold out. All profits from this event will be donated to our chairmanship charity of the year and so unfortunately we are unable to provide refunds. Yes dogs are welcome at Hylands House however we ask that you keep your dog on a lead within the pleasure gardens while the bunny hunt is on. We are running late for our pre-booked time slot. Can we still attend? The event opens at 11am and closes at 2pm. We have allocated time slots to regulate the number of children taking part in the bunny hunt throughout the day. Please come as close to your time slot as possible, however if you are running late but still before 2pm you will be allowed entry. Priority Entry ticket holders will skip to the front of the queue during their named time slot. Do you like what we do? Have you considered joining one of our clubs?